Interested in finding out more about our newest DiSC for leaders profile? Well then, register today for one of our FREE in-person client showcases! Attend one of the following in-person client showcases to get an insider look at our newest Leadership assessment! The events are FREE to attend and include a FREE Everything DiSC© Work of Leaders profile (valued at over $80) as a thank you for attending! 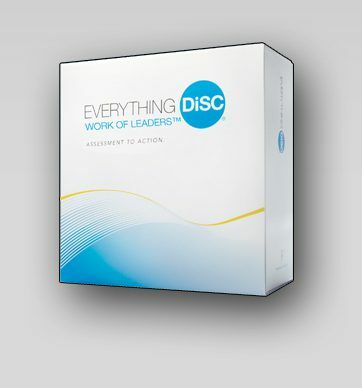 Everything DiSC Work of Leaders combines the power of DiSC with leadership best practices to provide a clear, detailed and personalized action plan for leadership improvement. The personalized leadership report is great for ANY leader of ANY industry and experience-level interested in learning more about their leadership style and improving their effectiveness with others. And, as part of the Everything DiSC product line, you can run group culture, facilitator and comparison reports across any Everything DiSC profile (including Work of Leaders!). Upcoming Events – FREE to Attend! Expert advice on the framework of Vision, Alignment, and Execution, and how this can be used to help you understand and improve your effectiveness as a leader. Insight into leadership best practices so you can strive to be a more effective leader. Summary of their leadership strengths and challenges so they can create a clear path for action. Unfortunately these events have already taken place. Visit corexcel.com to learn more about Everything DiSC Profiles.